Who doesn't love a good ol' game of Mario Kart? The kart racing video game series starring Nintendo's popular mascot has had eight main releases since it began in 1992, along with two titles exclusive to public arcades. 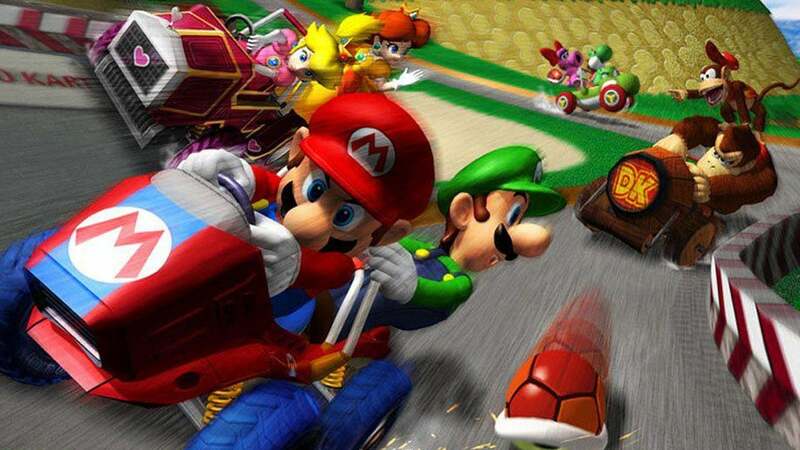 With 35 million copies sold, Mario Kart Wii is the second best selling game for the Wii. With nearly 10 million copies sold, Mario Kart 7 remains the second best selling game for the 3DS. And, let's not forget, Mario Kart 8 recently sold 1.2 million copies across its first weekend and boosted Wii U sales in the UK by a staggering 666%. So, the franchise is still as popular as it always has been. And to commemorate its ongoing nature, I have decided to comprise a list of all the main games, ranked from my least favourite to the very best. Mario Kart 64 is definetly the black sheep of this franchise, simply because it was a slow paced and boring affair which only really appealed to me in terms of music and track design. The game is ludicrously slow and relatively unexciting, and looks like crap compared to other N64 titles. Perhaps it's biggest weakness, however, is the god awful AI, who are so badly programmed that they can easily overtake you with minimal effort when you're in the lead simply due to their rubberbanding structure. During this time I'd much rather have been playing Crash Team Racing. Super Mario Kart is definetly one of those games that people love so much because of the nostalgia of playing it as a kid. Not owning many Nintendo consoles when I was much younger, I never got to experience it at a young age and thus my judgement is much different. While great fun and visually stunning for SNES standards, the game feels a bit underwhelming compared to its franchises latest installments and hasn't aged particularly well. It gets quickly boring in single player, and thus it's not something I'd keep revisiting. Super Circuit for the Game Boy Advance handled a lot like the SNES original, with similar 3D graphics and controls. It's ultimately a lot more fidgety on the GBA pad, but thanks to its more dynamic track designs it becomes a hell of a lot more fun. 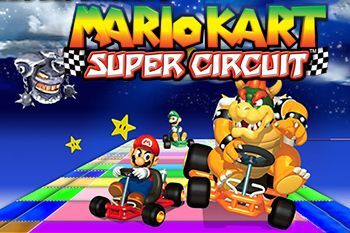 For portable standards at the time, Super Circuit was a thoroughly impressive entry to the franchise, but again it hasn't aged too well over the years. 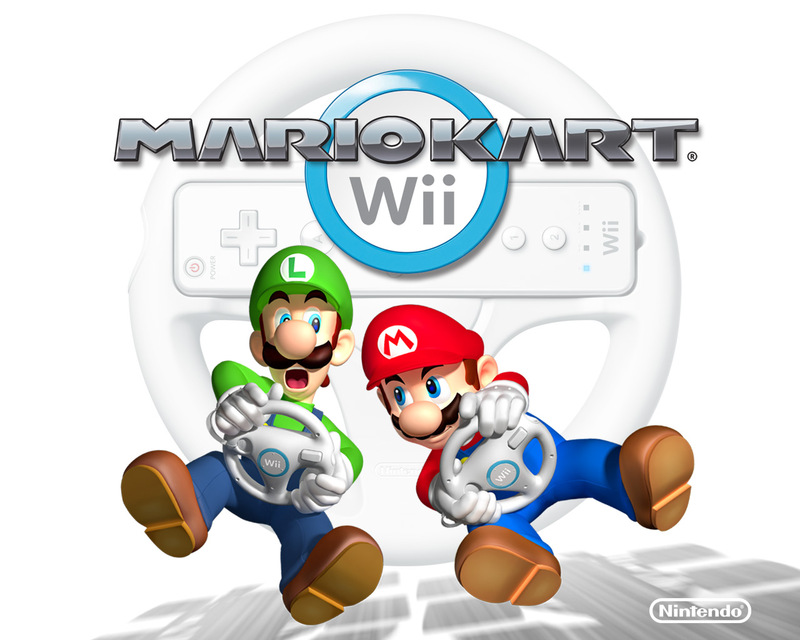 Mario Kart Wii boasts some of the series' most impressive factors since its inception in 1992 - the addition of motor bikes, the stunt system and online play so well developed that it was more fun than any offline mode. Unfortunately, what stops it climbing any higher is its atrocious rubberbanding AI and unbalanced structure, which can make races overly reliant on luck and thus incredibly frustrating. It's got some of the series' best tracks and is fantastic with friends, but single player is often too brutal to be any fun. Double Dash is perhaps the most notable game of the series due to its prominent feature of 2 racers per kart. This feature has one person driving and the other throwing items, both controlled by one player who can switch the positions of the characters whenever they wish. This gives a vastly different handling to the karts and makes races more manic than they've ever been before, and since. Some of it's tracks are annoyingly short and bland, but Double Dash still remains one of the series' finest outings. Mario Kart 7 brought a bundle of new ideas to the franchise, including hang gliding and segments of the course that took place entirely underwater. This made for not only an excellent range of new track ideas, but the game's retro courses were updated with similar mechanics to make them even more dynamic. The 3D effects compliment the already lovely visuals, and controls are spot on with the 3DS' wonderful circle pad. My biggest grudge is the lack of a single player VS mode, preventing you from playing any course you wish with CPU opponents. Why did Nintendo remove it? Many consider Mario Kart DS to be the finest game of the franchise, and this is not without good reason. Though its online mode was primitive compared to today's games, it was still seamlessly integrated and tons of fun to boot. It's most compelling attributes include the superb controls, which make racing in 3D with the D-Pad a lot better than it sounds, and the outstanding track designs which were far more creative than those in previous games. 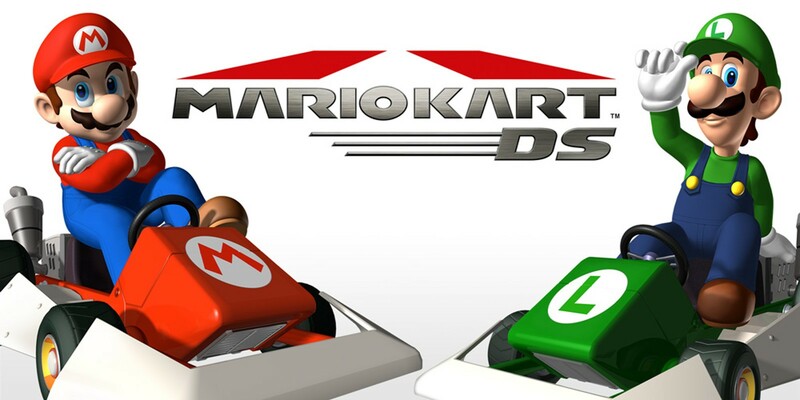 Mario Kart DS was also the first game in the series to bring retro tracks into the equation - from here on, all future releases offered 16 redesigned courses seen in previous Mario Kart titles. In terms of items and difficulty, it's by far the most balanced of the franchise, making cheap losses a rare issue. Being able to play it all on the go makes it even better, and easily makes Mario Kart DS the best game in the series yet. UPDATE: This video has now been adapted into a video for the gaming channel ProjectFalconPunch! Check it out via the link below!